Rated A+ by the Better Business Bureau, Tax Defense Network employs experienced tax attorneys and other licensed tax professionals with a combined 60+ years of industry experience. The company’s tax consultants have been approved by the Jacksonville, Florida, Chamber of Congress. Many are also certified with the National Association of Tax Professionals (NATP) and/or the National Association of Enrolled Agents (NAEA), two organizations devoted to the continuing education of tax professionals. With so much expertise under one roof, the company is well-positioned to offer a wide range of services to help consumers and small business owners get out from under the burden of tax debt. Tax Defense Network’s A+ rating by the Better Business Bureau could stand alone as testament to the company’s exemplary service and success rate. But Tax Defense Network also holds a 1A1 rating with Dun and Bradstreet and a Silver Power Profile, showing the company’s excellent financial standing. In addition, Tax Defense Network was recognized by the Jacksonville Business Journal as the city’s fastest-growing private company in 2010. Tax Defense Network maintains this commitment to growth and works hard to serve the people of Jacksonville and beyond. Tax Defense Network recently partnered with tax firm Jackson-Hewitt, enabling the tax accounting firm to reach and help even more customers who are facing large tax debts. Tax Defense Network offers Gold Star Client Care, a department devoted to ensuring that every person who calls the firm has an Ideal Client Experience (ICE). The Gold Star Client Care hotline and email address offers a direct means of communication to our tax professionals, and also serves as a resource center for past and prospective clients. Tax Defense Network formed its company philosophy around the acronyms FIRE and ICE. FIRE stands for “Fully Informed with Realistic Expectations” and ICE points to the Ideal Client Experience. The tax professionals at Tax Defense Network believe every customer should be treated with honesty and integrity and that communications should be clear and frequent. Tax Defense Network offers a free consultation, which includes an analysis of your tax situation, an appraisal of your standing with the IRS or your state tax agency, and a proposed solution to your tax issue. There is no charge unless you decide to proceed with Tax Defense Network, and you have three days to change your mind even after signing the contract. Tax Defense Network does not require customers to face a minimum amount of tax debt before seeking help with the firm. Nor is there any amount of tax debt so big that Tax Defense Network won’t be able to help. Tax Defense Network’s certified professionals evaluate each case on its own merit and is equipped to help individual taxpayers and small businesses regardless of the size of their debt or the measures the IRS is taking to collect that debt, including wage garnishment or tax levies. Tax Defense Network can and does help taxpayers across the U.S., and successfully resolves more than 4,000 tax cases per month. With overwhelmingly exemplary customer reviews, a policy of transparency, and willingness to help nearly any individual or small business taxpayer regardless of their tax issue or the amount of their tax debt, Tax Defense Network is an easy choice if you’re facing tax debt and need professional help. Founded in 1997, Tax Defense Network has garnered positive media attention from the local and national press for its affordable tax debt solutions and its Gold Star Client Care services. Based in Jacksonville, Florida, the company serves taxpayers nationwide, and recently partnered with Jackson-Hewitt tax accountants to provide full-service tax assistance for individuals and small businesses anywhere in the U.S. When you need people that can resolve your tax problems, Tax Defense Network will come to your rescue! What a Deal!! They are the BEST!! Thank you for lifting our burden! Tax Defense Network is prepared to help individual taxpayers and small businesses with tax debts of any size—or even just a tax-related issue that doesn’t involve owing the IRS money. The company can negotiate offers-in-compromise, installment agreements, payment plans, and more. Whether you’re facing a tax lien, tax levy, IRS bank levy, wage garnishment, tax penalties, or any other issue with the IRS, Tax Defense Network can help. TDN offer payment terms and financing, but since they provide the evaluation for free, there is no initial fee. Founded 20 years ago in 1997, Tax Defense Network is one of the oldest and experienced tax relief firms in the country. What this also means is TDN has deep established relationships with staff at the IRS. 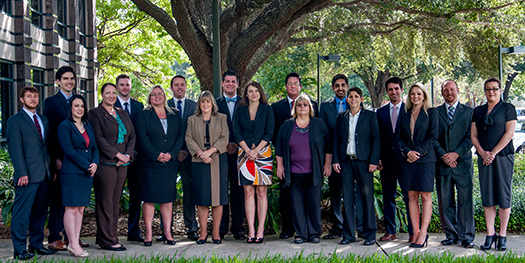 The tax professionals on staff have a combined 60+ years of experience in tax debt relief services. Tax Defense Network recently partnered with Jackson-Hewitt, a household name in tax accounting, further bolstering its reputation as a trustworthy tax relief firm. The company was ranked as Jacksonville’s Fastest Growing Company in 2010 and has had numerous appearances on TV news. Tax Defense Network employs tax professionals certified by industry organizations such as the National Association of Tax Professionals (NATP) and the National Association of Enrolled Agents (NAEA). TDN is a Chamber-approved Tax Consultant for the Jacksonville (FL) Chamber of Commerce. The company employs more than 20 licensed tax professionals, including accredited CPAs, tax attorneys who are members of the American Bar Association and the Florida Bar Association, and former IRS agents, who understand the idiosyncrasies of dealing with this government agency. Various members of the legal team are, additionally, members of the American Society of Tax Problem Solvers, a non-profit organization offering advanced education for licensed tax pros. Whether your tax debt is large or small, the pros at Tax Defense Network can help. With write-ups at places like Huffington Post and Fox News, the extensive media coverage the company has earned stands as testament to its positive profile and reliability, as do 950 positive satisfied customer reviews published on the Better Business Bureau website. Tax Defense Network offers clients a flat price model that doesn’t change throughout the negotiations of your case, and offers a free upfront evaluation. The company is touted as a great place to work, with a fun company culture and overtime opportunities contributing to its Glassdoor rating of 4.2 stars. TDN has resolved more than $110 million in tax debt—and is still going strong.